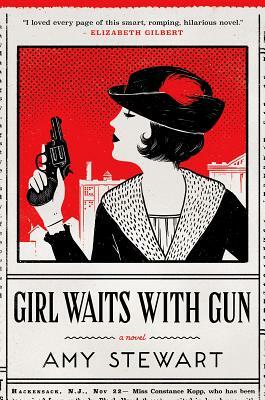 Girl Waits with Gun (A Kopp Sisters Novel #1) (Hardcover) | Eagle Harbor Book Co. This is a romp of a good novel. Stewart, (The Drunken Botanist, Wicked Plants), came across the idea in newspaper stories while researching another book. Set in New Jersey during Prohibition times, it has gangsters, a tried and true sheriff, and, of course, damsels in distress—but what powerful and entertaining damsels! You will love it.